For this week’s Hidden Treasures we explore several different artists. The first is Gerda Meyer Bernstein with "Marginalized" at the Hartmann Gallery. Then we go to the Studios on Sheridan to see "ME," an exhibition of self-portraits. Lastly, we talk about "Making Their Mark by Illinois Women Artists from 1940-1960." Photographs, mixed media and "Postcards for Barbara"
We preview two more upcoming art exhibits this week. First, at the Peoria Art Guild, we look at works by Joy Christiansen Erb and Trina Perry Carlson. These works are from the brilliant minds of a photographer and a mixed media artist. Then, we see "Postcards for Barbara" at the Prairie Center of the Arts. We travel to the Exhibit A Gallery to find paintings by Don Kettleborough. Then we find ourselves looking into the Heuser Gallery to look at Envisioned Worlds: Lithographs from the Hokes Archives. Both are great opportunities to look into the local art scene. There are several beautiful pieces at the Contemporary Art Center. First we hear about Got Jazz, Fiber Artists Coalition, and we learn about sculpture by Barbara Cooper. Both can be seen at the Contemporary Art Center September through October. This week’s Hidden Treasures takes us to the Foster Art Gallery at the First United Methodist Church. Here we will find works by Sherri Burritt & Florence Gaffney. Then traveling to the Heuser Gallery we find Painting by Michiko Itatani. We look at the last set of art galleries participating in the Citywide Celebration of Women Artists. The Liz Pearce Gallery in Dunlap features the work of five artists, exploring small, intimate spaces. Four Morton artists have works on display at the Jefferson Street Gallery. Finally, two events held in conjunction with the celebrations examine the business of art, and a panel of women artists talking about their experiences. 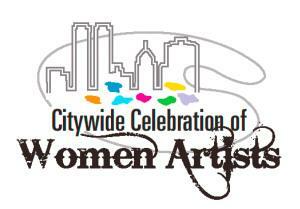 The Citywide Celebration of Women Artists continues with exhibits around the region. 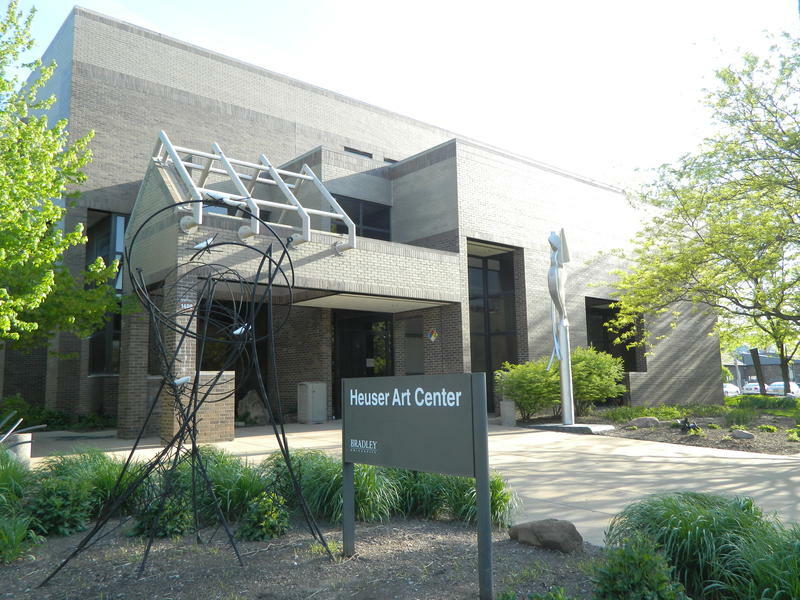 The Peoria Heights Library is exhibiting the work of 24 members of the Illinois Art League, including early members Jo Ann Bell and Pat Dale. The Picture This Gallery displays photos by owner Cheryl Dean and paper artist Susan Plott. Nearby, the Exhibit A Gallery features a number of works by women artists in the manner of an artist whose work has influenced them. In conjunction with the Citywide Celebration of Women Artists, Bradley University’s Heuser Gallery is showing paintings by Chicago artist Eleanor Coen. Bradley’s Hartmann Center exhibits works from Bradley’s collection. Nearby are the Studios on Sheridan, with pieces by six women artists. And further north on Sheridan Road, Gallery Romain shows work by Sapphire and Crystals, a collective of African-American women artists in Chicago. 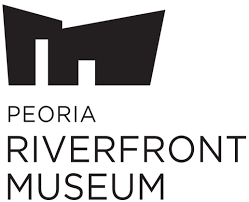 Today, we’re looking at works on display in downtown Peoria, all participating in the city’s Celebration of Women Artists. The Contemporary Art Center features works by Chicago artist Christie Rojek and members of the Prairie Fiber Arts Guild. Around the corner, the Peoria Art Guild displays a sculpture by Ashley Morgan, and photographs by Barb Hoffman.